This type of diabetes appears when the pancreas is no longer capable of producing sufficient insulin or the cells of the body do not use that insulin efficiently. As a consequence, the level of glucose in the blood are high because insulin is the hormone that helps glucose enter the body’s cells and be used as fuel to generate energy. When glucose accumulates in the blood instead of entering the cells, it produces hyperglycaemia which diagnoses diabetes. Prediabetes is a warning phase of the disease. Type 2 diabetes is generally associated with a period of prediabetes in which blood sugar levels are high, but not enough for a firm diagnosis of type 2 diabetes. How do I know if I’ve got type 2 diabetes? The diagnosis of type 2 diabetes is carried out by means of the extraction of a fasting blood sample. If the analysis gives a repeated blood glucose level greater than 126 mg/dl, it is considered positive for type 2 diabetes mellitus. In cases of doubtful diagnosis, a glucose curve is carried out (determination of blood glucose arranged serially) to assess the capacity of the organism to process glucose. This test can last for up to 3 hours. First, a blood sample is collected, after which you will have to have a very sweet drink which contains 75 g of glucose. Blood samples are taken every 30 to 60 minutes after drinking the solution. Diabetes is diagnosed if the level of glucose is above 200 mg/dl 2 hours after ingesting the special sugary drink. There is no need to be fasting to carry out the test. The test is carried out with blood extracted from the arm (venipuncture) or by means of pricking a finger. Can you prevent type 2 diabetes? With a healthy diet and moderate physical activity (such as walking for 30 minutes a day) the appearance of type 2 diabetes can be prevented. Can I find out my genetic predisposition to suffering from type 2 diabetes? With the simple Diabetes Prevent test you can discover your genetic predisposition to suffer from type 2 diabetes and our accompaniment app will support you in preventing and controlling it. Where can I buy the Diabetes Prevent test? 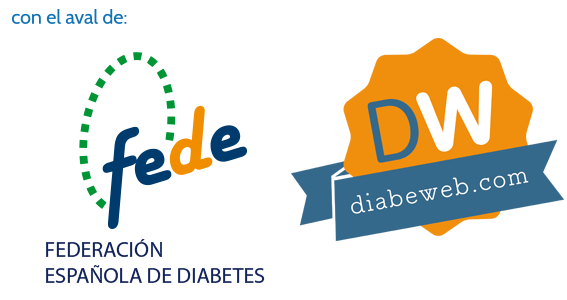 Diabetes is a disease in which preventable risk factors intervene, related to people’s lifestyle, and also non-preventable ones, such as genetics or age. Genetics. Susceptibility present in the genome. Age (as we get older the risk increases). Glucose intolerance (a greater than normal rise in blood sugar after eating). Preventable risk factors can be avoided with a change of habits and a healthy lifestyle.